Space is still available for the April 6 event. Late registrations are being accepted. Please e-mail AliceVLogan@gmail.com by Thursday, March 28, if you plan to send a registration. Rickey Cotton, Ed.D., is a trained and experienced spiritual director and a commissioned presenter for Centering Prayer and Lectio Divina. He serves on the faculty for the Living Flame program of Contemplative Outreach. Ltd. As a spiritual speaker and workshop leader, he has presented around the country on such topics as John of the Cross: Beyond the Dark Nights; The Desert Ammas and Abbas; Divine Therapy: Becoming Who We Really Are; and Thomas Merton: Spiritual Pioneer. 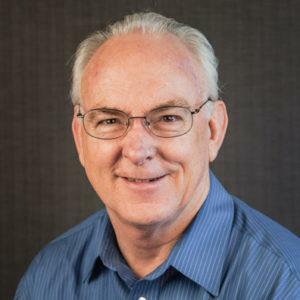 Now Professor Emeritus, for over 30 years, Rickey taught English and Religion at Southeastern University, a Christian university in central Florida. Fr. Thomas Keating famously declared, “The purpose of the Divine Therapy is to enable us to become who we really are.” One of his great contributions to contemporary spirituality was to help us see the integral connection of the psychological and the spiritual. Centering Prayer, he taught, involves entering into our inner room, which is the office of God, the Divine Therapist. In this special workshop we will together examine Fr. Keating’s vital insights in the purification and healing aspects involved in the spiritual journey, the journey to become whole and free, who we really are in God. In addition to the presentation of psychological and spiritual insights and information, our day will include periods of Centering Prayer and times of meditation on key selections from Fr. Thomas’s powerful writing on divine therapy and inner healing. And of course there will be opportunity for questions, dialogue, and mutual stimulation as we encourage one another in going deeper and further into God. If you have difficulty opening or printing the Rickey Cotton Flyer, send an email to AliceVLogan@gmail.com to receive at PDF version.